Bring guests together with a common activity at your next gathering. Yes, it’s fun to chat and eat and drink, but sometimes the same old party routine gets a little stale. And it can be downright awkward when you’re trying to blend friends and family members with no common interests. Or crazy stressful if you’re hoping to entertain a pack of tweens. Perk up your next party—and give your guests a focus—with aromatherapy, painting, cooking lessons or even video games. Food and beverage is supplied by the host or the venue. All the setup and the teardown is part of the package, freeing you to enjoy your guests or to figure out where you will hang your new work of art. Gamin’ Ride is known for its birthday parties for boys and girls ages 7-12, “but we have done parties for kids as old as 46,” says Dave Soliday, franchise owner. 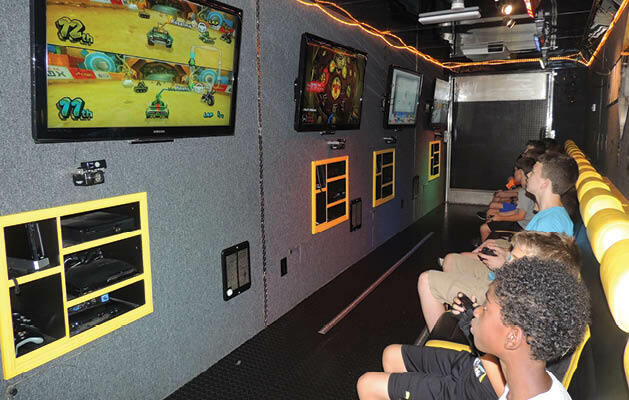 When Gamin’ Ride, based in Chanhassen, parks its 38-foot Mobile Video Game Theater at your location, your guests will know it’s time to play. Beginners and experts alike will find something to enjoy with around 100 interactive four-player games to choose from. Six screens and a variety of game consoles ensure that up to 24 guests will have room to play. Particular about game content? Hosts choose the maturity level of the games available at the party. “Mario Kart is great for beginners,” says Soliday, “and our most popular game is Minecraft,” rated for ages 8 and up. Unearthed Arts gives hosts three options to wow guests at their Waconia shop and studio. You can choose to paint and glaze a piece of bisque pottery, create an aromatherapy product (adults only), create a piece of jewelry or paint a picture. All Unearthed Arts parties and classes are supplied with professional equipment and instructors, and events can be tailored to suit the theme or the group. 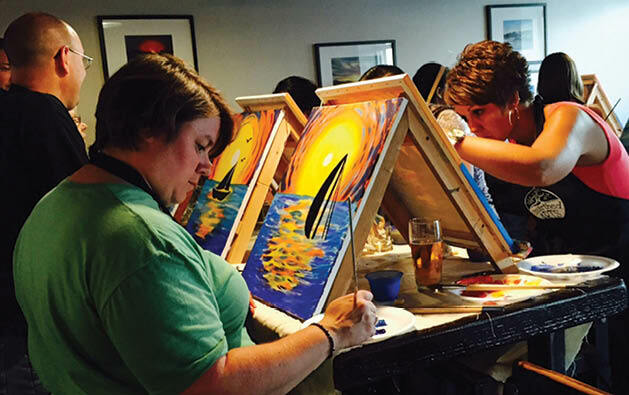 “We can offer customized color schemes (for painting) or do an aromatherapy party that focuses on a particular issue like skin care,” says event coordinator Kris James. Aromatherapy classes include learning about the safe and effective use of essential oils, and the making of a blended oil or a spa product. 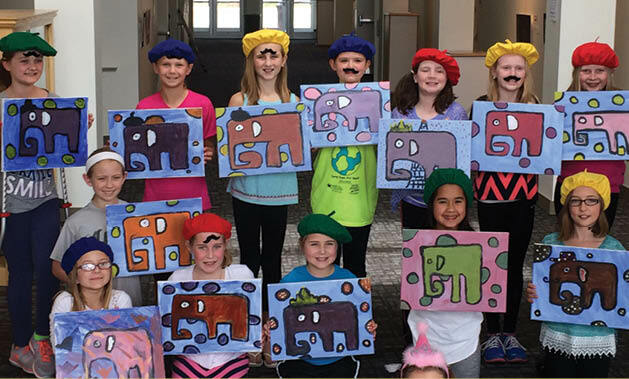 Birthday party options for kids (minimum recommended age is 6) include creative time, as well as time for opening presents and for treats (provided by parents). Parties involve making three dishes, often an entrée, a side dish and a dessert, while learning about new techniques and ingredients, talking and having fun. Add excitement with a Chopped Challenge, where two teams compete to make the best dishes using a basket of secret ingredients. The menu chosen can work toward a theme, like a book club’s current read, or a purpose, such as cookie bake and shares, or party appetizers. All events can be as instructional or social as the hosts want, and special dietary needs are embraced.